Hey everyone! I hope everyone had a good holiday! I know I did. I had a chance to try out a new brow pencil over the week, since my Anastasia one had run out I thought I would try something that Huda Beauty said she loved and couldn’t live without on her Snapchat. 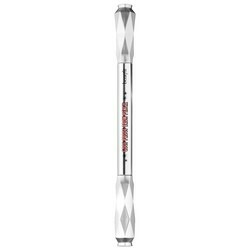 The Benefit Precisely My Brow Pencil by Benefit. It is $2 more than the ABH but I get better quality and faster service for my brows. I happily paid that and would do so again.